Saab, the super-safe car built by Swedish aircraft engineers. They may no longer make new cars, but you'll still need to sort Saab insurance. GoCompare's guide can help you with your search. "People could never figure out how a Saab cost so much until they crashed it," according to Jeremy Clarkson. But how does that stellar safety record translate into Saab car insurance premiums? Speedy but safe. Sophisticated but leftfield. Saab's idiosyncratic cars were lauded before its demise in 2012. Indeed they even inspired 'Snaabery' among owners, next-level brand loyalty and enthusiasm. Sadly, the affection that Saab inspires in its fans couldn't save it from going bust. Yet not is all lost. Its last owners have rehired many Saab engineers to create NEVS (National Electric Vehicle Sweden) cars for the Chinese market. By 2020, NEVS aims to introduce its electric vehicles in Europe. And the old Saab factory in Trollhattan will make them. What's your Saab insurance group? The Saab 9-3 was Saab's compact executive model. It replaced the iconic 900 in 1998. It was the last Saab ever made, with NEVS producing a short run in 2014. It's also the basis of NEVS EV, though it won't have a Saab badge. The second - and final - generation Saab 9-3 came out in 2003. In a review of second-hand 9-3 convertibles, What Car? commends its sharp steering and comfortable ride. The 9-3 is in the higher insurance groups due to the whacking great engines that Saab put in them. The smallest engine was a 1.8 and they went up to a 2.8 turbo. Use our car insurance group checking tool to find your specific model. The Saab 9-5 was its executive car model. It replaced the 9000 in 1998, and was one of only two models that Saab made towards the end of its life, alongside the 9-3. What Car? 's review of the second-hand Saab 9-5 Estate praises its "roomy, comfortable and well built" cabin. It also says the Saab 9-5 remains "value for money". Should I use Saab insurance specialists? There's no getting away from the fact that most Saabs are in the higher insurance groups. But this doesn't mean you'll only get a quote from specialist insurance providers. 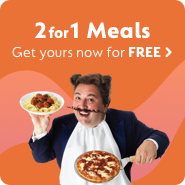 Try GoCompare to see what deals are out there. Drive a Saab 99 Turbo, Saab 900, or Saab 9000? Then you may want to look into classic car insurance. Saab insurance specialists may come in useful here. Yet many car insurance providers now offer classic car insurance. Another option is to see if a Saab owners' club offer specialist car insurance to members. You should be able to find cheaper Saab car insurance if you research providers. And always compare policies and prices.